I thinks my human is losing it. 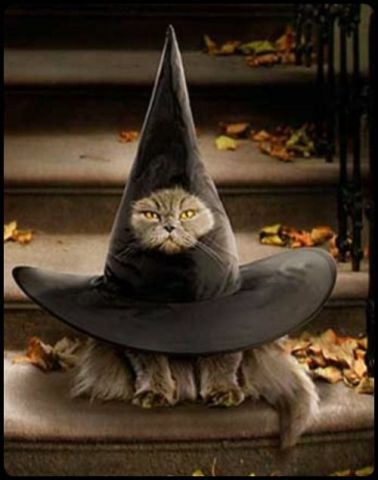 I didn't say I wanted to go as witch's hat. *sigh* I wanted to be the Sorting Hat from Harry Potter.